There are clients that I become more attached to and feel like I am a part of their lives!! This is definitely one of them!! Jolene and her family have been clients for almost four years when they were pregnant with their first child, Charlie! I photographed all of Charlie’s First Year and then on his birthday every year since! In 2010 they were expecting their second child and came in for a pregnancy session . I hadn’t heard from them about their newest arrival until David was almost two months old. He was born with a heart defect and was still in the hospital. Would I please come to the hospital to photograph him? Absolutely I will!!! And am I ever glad I did because little David passed away shortly afterwards. 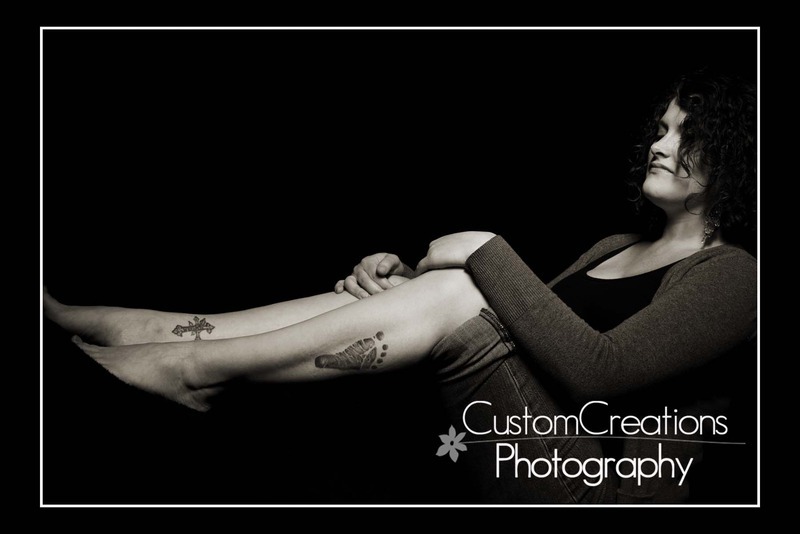 The tattoo on her left leg is David’s footprint from his birth certificate. They are now pregnant with a little baby girl and due the same time that David was born two years ago!! Such an amazing story of happy sadness!! I just love this family!!! Thank you for being a part of my Body Art Project! !